Private tours are available and reservations are required. The Dolphin, Birding and Shelling Tour is a wonderful experience for the whole family and a great introduction to the area. 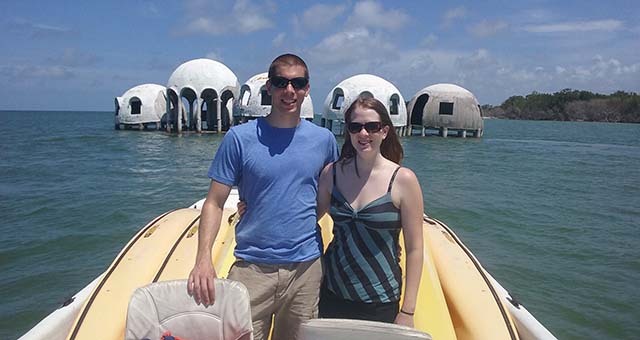 In comfortable captain's style seating an, you will be safely brought deep into the 10,000 Islands Wildlife Refuge for an interpretive tour of the area led by a Florida Master Naturalist. Depending on the season, you can expect to encounter manatees, dolphins, sea turtles, bald eagles, ospreys, herons, egrets, pelicans, rosette spoonbills, as well as, numerous species of fish and shore birds. 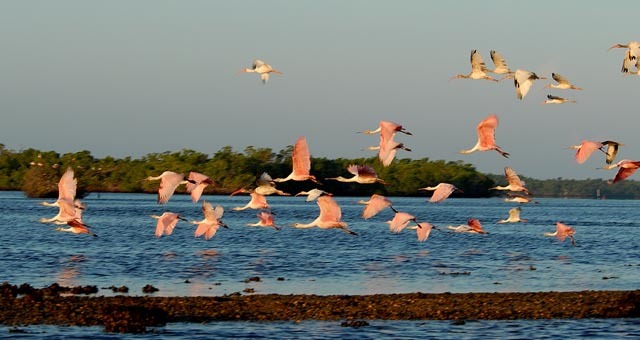 The entire Everglades area, including Everglades National Park and the 10,000 Islands Wildlife Refuge, is a wonderful place for wildlife, particularly manatees, dolphins and wading birds. Marco Island is one of the largest and the western most of the 10,000 Islands. It is also the only island that is developed. We will spend some time exploring and shelling on one of the other 9,999 Islands! Not only will you be introduced to the great birding and wildlife in the area by your naturalists guide, you will also learn about the Everglades eco-systems, it rich heritage and long history. We limit each experience to six guests, so you can expect an intimate experience in the wilderness. Our tours are never "canned", so each tour is different. The area's wildlife move around in order to exist in their world and so must we. Many species are seasonal and inhabit different areas in different environmental conditions, so too, we must be able to adapt. Bring your cameras, binoculars, snacks, favorite drinks, hats, sunglasses and have a great time! !